Now is the best time to make the most of the winter weather and create and fun look using some frosted shades. Any baked eyeshadow palette works for this look, and don’t forget to mix with a splash of water to create a shade that says on and doesn’t budge! 1. Moisturise your skin with a light formula which comes with an added SPF. After the moisturiser has settled into your skin (this could take just a few minutes), it’s time to apply the foundation. 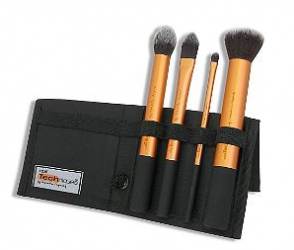 Use a flat foundation brush to evenly distribute the product across your face. 2. 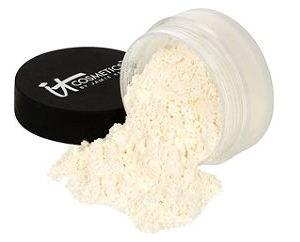 Set any problem areas with a translucent powder – forehead, chin, and cheeks. Lightly dusk across the t-zone or any other place where your skin becomes oily. 3. If your eyes are feeling puffy from a lack of sleep, apply some concealer and blend with your fingers. 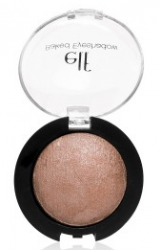 This creates a natural finish which won’t emphasise your pores. 4. 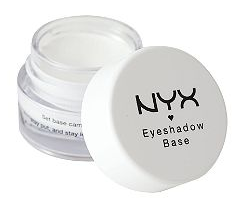 Prime your eyes with a creamy primer, since this will allow the makeup to stay on for longer. Use either with a flat concealer brush, or for even better coverage, pat with your ring finger until it settles into the skin. 5. Take a flat shading eyeshadow brush apply a neutral colour over your entire lid. To make the product last for longer, buff the product well into the lid. 6. Use a slightly darker shade, and apply this onto the hollows of your eyes. 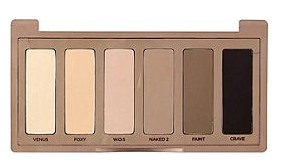 This colour should slightly create a contour on your eyes. 7. For the rest of the lid, use a frosty shade which will make your eyes pop. Apply this with a damp brush, and blend out well. 8. 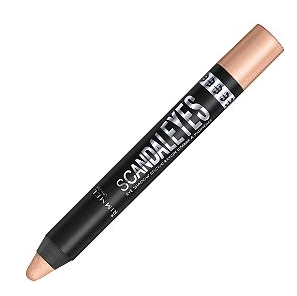 To highlight the inner corner of your eyes, use a shimmery eyeshadow pencil on the tear duct. Blend with your ring finger to create a subtle shade. 9. To finish the eyes, curl your lashes and apply a lengthening mascara working from root to tip. 5. Use a wet-look lip gloss to make the attention all about the eyes, or simply just line them with a soft pink colour for a ‘your lips but better’ look. Step out in full bloom on these cool nights with a clean and natural look that will see the night through, no matter the weather. At jane iredale, they understand after five makeup can be tricky to perfect, especially on cooler nights with those harsh winds and fog in the air. We have set out some simple steps to ensuring your makeup will last through the night and keep you at your natural and beautiful best. To ensure your eyes are the focal point of your evening makeup look, define them using PurePressed Eye Shadow. Simply apply a neutral shade to your lids working your way from the inner corner right to the crease. The Chisel Shader Brush is the perfect blending tool for an even finish. Add a stroke of Black Gel Liner along your lash line to outline the eye. Next, get your lashes looking naturally thicker and longer using mascara! And finally, don’t forget your brows! A quick comb through using a PureBrow Brow Gel to tint and define your brows, will draw more attention to you eyes and make them ‘pop’. Bring life to your complexion by highlighting those cheekbones with blush like our PurePressed Blush. This lightweight bpowder is formulated with nourishing antioxidants and minerals leaving you with a subtle, soft-washed look. Apply with a brush and gently blending towards your temples. The best part is that it can also double as an eye shadow and we’ve also worn it as a rosy lip stain; simply apply with a wet brush and voila! When wearing a bold lip colour on a night out you want it to last, with no faded colour. To ensure the longevity of your product, line your lips with a matching shade of lip liner. Be daring, choose a darker shade to finish your evening look. These makeup tips are brought to you by jane iredale Australia. For more information and inspiration visit at https://janeiredale.com/au/ on Facebook at Jane Iredale Australia and on Instagram @janeiredale_australia.